In this archival interview, the hockey legend talks to Shelagh Rogers about his life and career. Over the course of his legendary hockey career, Bobby Orr carried himself with style, grace and poise. 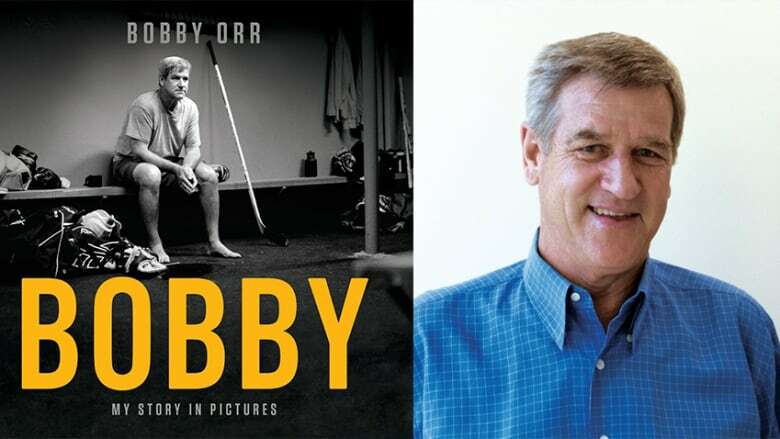 In light of a new book celebrating his life, titled Bobby: My Story in Pictures, we take a look back to when the Parry Sound, Ont.-born hockey legend spoke with Shelagh Rogers in 2000 about his life and career. "I played a style that wasn't accepted in those times. I was an offensive-minded defenceman. I carried the puck a lot during a time when defencemen are supposed to sit back. But they didn't ask me to change. If they'd asked me to change my style, I wouldn't have been nearly as effective. "I think today we're not letting our kids create and I think that's a big problem. We've got to get back to the fundamentals. Let them create, let them have their own style. Let the kids play." "Like most kids in Canada playing hockey, my dream was to play in the NHL and be on a Stanley Cup team. I was fortunate: I played in the NHL and I was on two Stanley Cup teams. When I was a kid, I remember players holding up the Stanley Cup and skating around the Montreal Forum or Maple Leaf Gardens. And then I was there. "I had a passion for this game and I was being paid to do it. It's a pretty good position to be in, but I didn't start feeling pressure until I couldn't play like I used to play. I got injured and I just couldn't carry the puck like I used to. If I did I couldn't get back because my legs just wouldn't let me. So that's when I started to feel the pressure." "In 1976, that was the only time I played for Canada in an international series. Being on that team — and that was some team — was my last days of playing hockey. I was there, but didn't play. I was injured and was coming off surgery. But what that team did, in my mind, was one of the great feats in sports ever. I don't think we'll ever see it again." Bobby Orr's comments have been edited for length and clarity.